U.S. Defence Secretary Jim Mattis warned on Saturday that North Korea’s rapidly advancing nuclear and missile programs would undermine, not strengthen, its security. In a press conference following the annual Security Consultative Meeting (SCM) where South Korea and US discuss pending issues of their alliance, Mattis stressed that Washington and Seoul have enough military options to respond to Pyongyang’s threats. “Make no mistake – any attack on the United States, or our allies, will be defeated. And any use of nuclear weapons by the North will be met with a massive military response that is both effective and overwhelming,” he said. 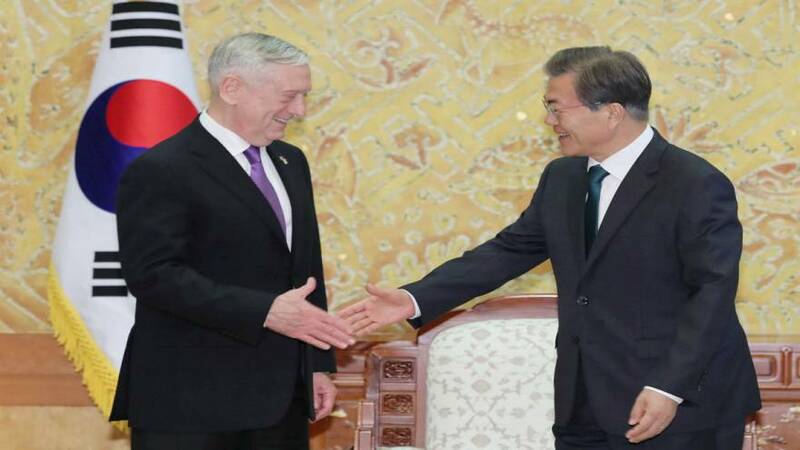 On a trip to the inter-Korean Demilitarised Zone (DMZ) on Friday (Oct. 27), Mattis however stressed that America would prefer a diplomatic solution to the crisis. Meanwhile, his South Korean counterpart Song Young-moo dismissed the idea of bringing back US tactical nuclear weapons to the peninsula. Tension between Washington and Pyongyang has been rising after a series of nuclear and missile tests by Pyongyang and a war of words between North Korea’s leader Kim Jong Un and US President Donald Trump. The CIA has said North Korea could be only months away from developing the ability to hit the United States with nuclear weapons. Trump will be visiting the region early next month.